Bats are all-natural pest controllers! Did you know a bat will eat the equivalent of its own weight in insects (including mosquitoes) in just one night? But that doesn’t mean we want them living in our attic spaces or under the eaves! We are getting calls now for bat exclusion jobs. The babies have left the nest and now is the time to perform exclusion services so they’ll find a more appropriate home. We use a humane method of exclusion, namely, we place a “cone” in the opening where they enter your home which allows them to leave but they can’t re-enter. Myth: Bats are flying rodents. Nope, they are mammals and are the only mammal that truly flies. Myth: Bats are blind. Nope, they generally see pretty well and some species echolocate (use ultrasonic sound) to navigate. Myth: Bats fly into your hair and attack you. Well, they might—but only if you are frightening them by screaming and waving your arms around! Myth: Most bats have rabies. Actually, a small percentage of bats carry rabies and they normally only bite in self- defense. In bats, rabies takes a “paralytic” form, so a bat that has rabies may be found quietly resting on the ground. NEVER, pick up or handle a bat with your bare hands! 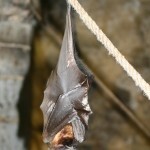 Did you know many species of bats are endangered? One reason is that they usually only give birth to one pup per season. Another is human activity. Their habitats, usually caves and abandoned mines, are susceptible to human disturbance by the recent upsurge in cave tourism (spelunking) and renewed mining. Check out the video on the Northern California Bats website (www.norcalbats.org) about the bats living under the Yolo Causeway! There, you’ll also find good information about species of bats specific to the foothill area and a link to Bat Conservation International (www.batcon.org) if you’d like some tips on how to construct and install a bat house. 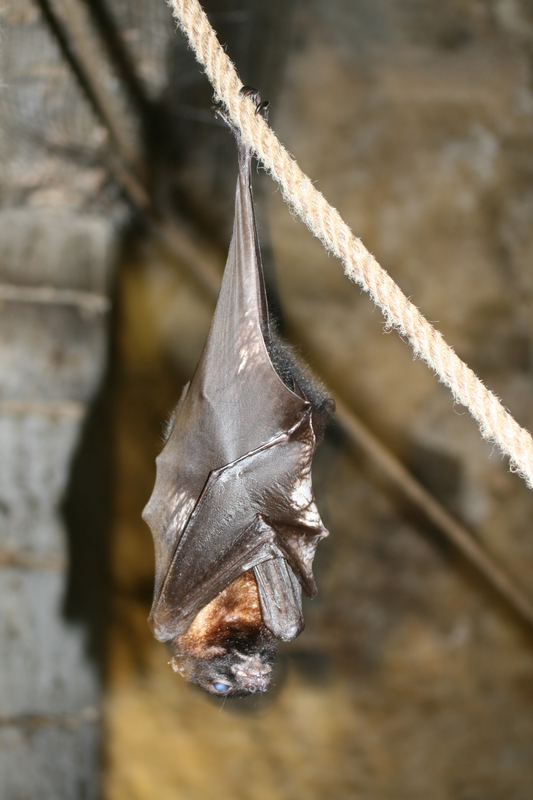 In the meantime, if you have bats making their home in your attic, give us a call! We can inspect and humanely exclude them, and send them happily back to the wild.